Nice day over at Mürren. Lots of racers with 210cm Super-G planks zooming about. Snow is generally good - Schiltgrat a bit slick towards the bottom, but no real problem. 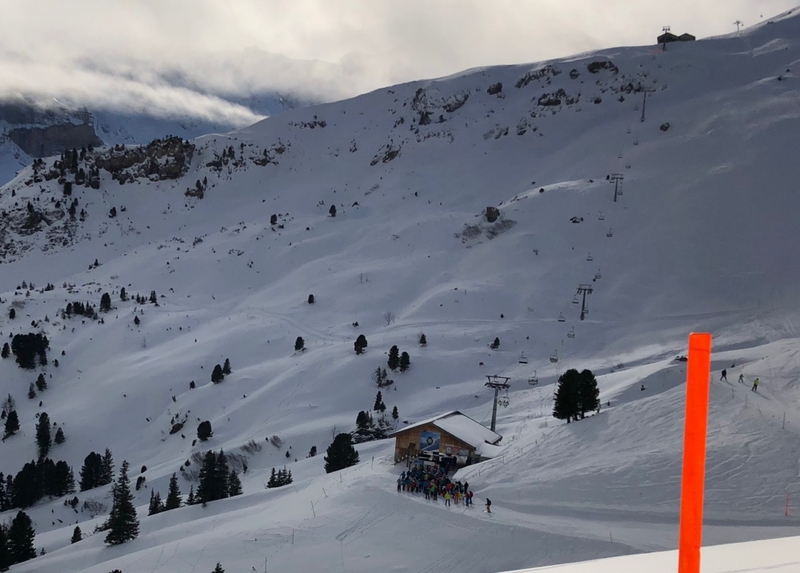 No queues, but best to avoid the pistes where the Inferno racers are practicing - they seem to ski in groups of 2 or 3, racing against each other! 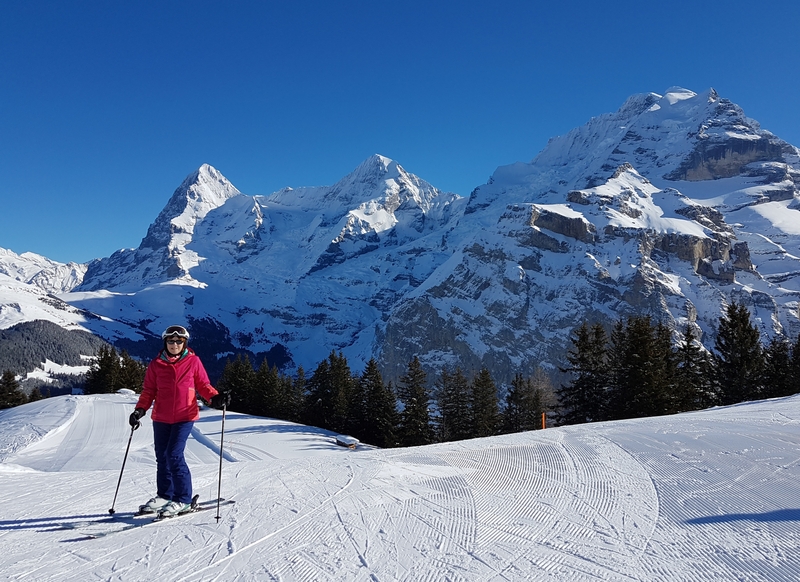 Run down to Lauterbrunnen is open, and probably the best it’s been for years. Weather is pretty cold at the moment, but the skiing's great. Potentially looking for a 4 day trip first week of April flying into Basel. How is the snow usually in early April and any recommendations for where to stay? 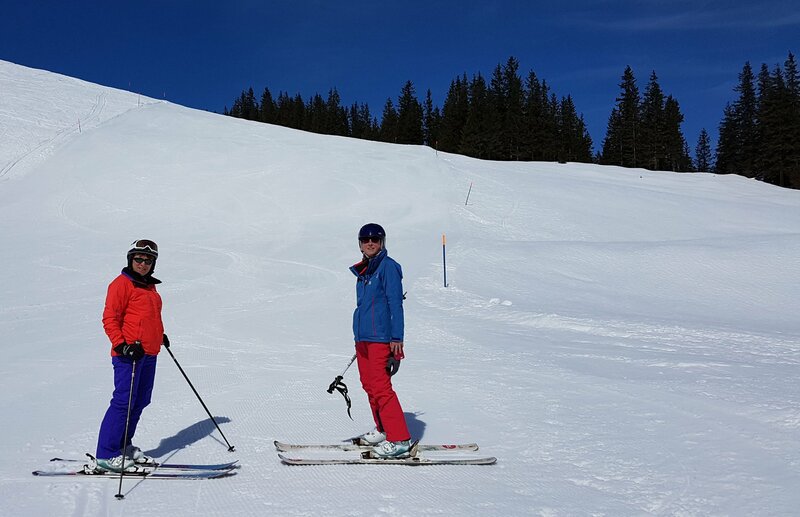 We are both reasonable skiers, happily ski any piste, enjoy moguls and challenging blacks and would hire a guide if conditions warranted it. We've been to lots of resorts, but never sked this area. Not into huge apres but would like a few bars/restaurants to eat out at night and walk around a bit. Last season was pretty good in April - this was taken on the 6th. That's at about 1600 metres on the way to Brandegg. Where to stay is a good question. 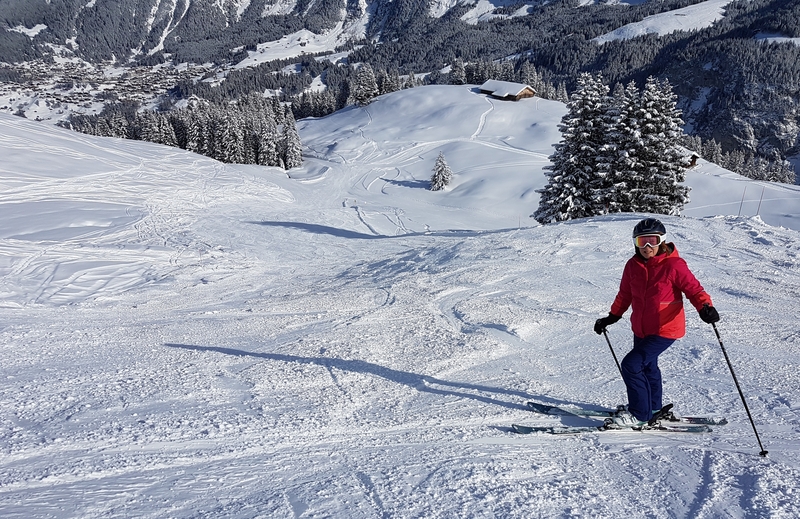 Most handy for the lifts are the hotels in town - Victoria Lauberhorn, Silberhorn, Sunstar, Bernerhof, Caprice, Schönegg. Lots of self catering apartments on AirBnB too. 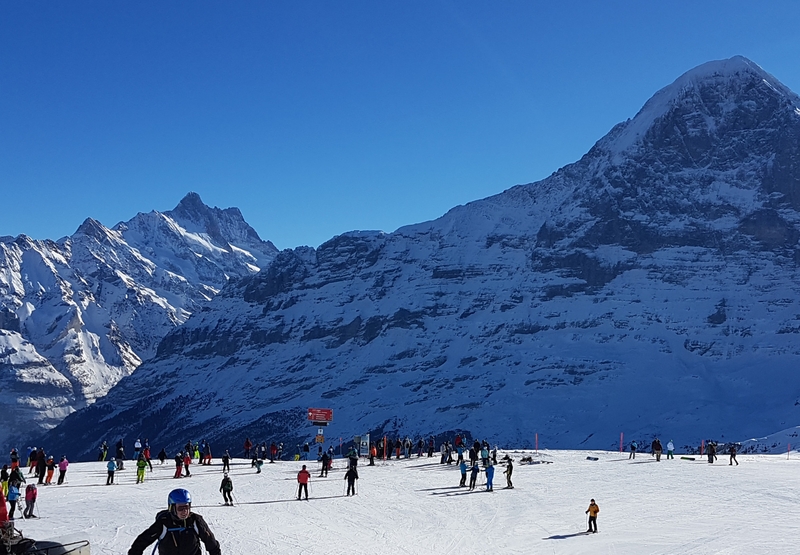 Wengen has half a dozen bars and plenty of restaurants. In April i would head for the higher village, Murren. 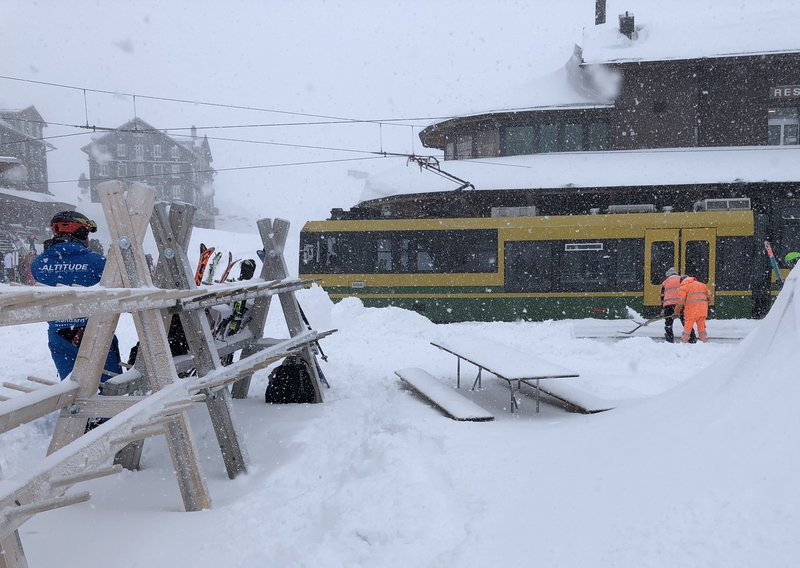 Looking at #Murrenlover twitter feed last year the snow levels on April 13th was 90cm in the village and 420cm at the top. Hell, that was one cold day! 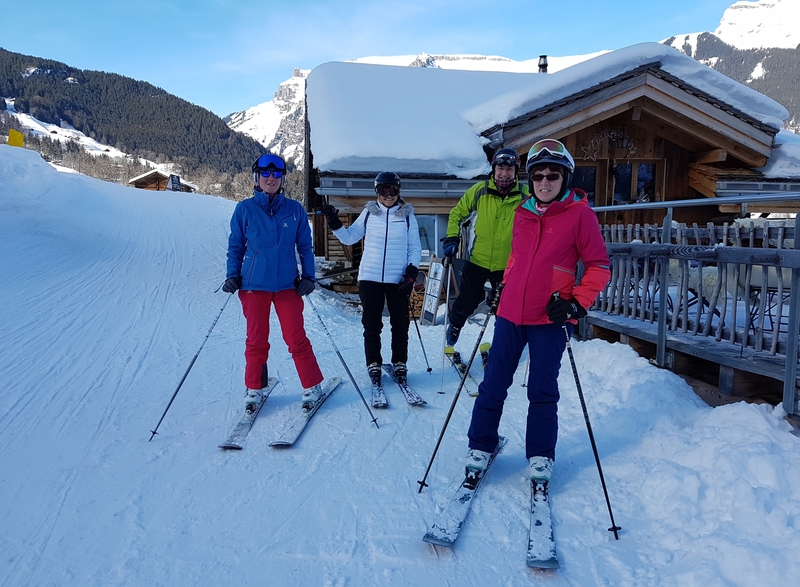 We put skins on at the Wetterhorn car park and eased on up the road. In 15years of touring I think that was the coldest condition I remember. We didn't make it to Grosse Sch' hotel at the top, as we felt the light was going to deteriorate. The plus side to cold temperatures is snow in fantastic shape. One week old...... we skied down in good powder!!! As Roger mentioned yesterday, it’s a bit cold here at the moment. Minus 11 in the village this morning, and minus God-knows-what up at Männlichen. Nice sunny day though, and it was actually quite busy early on. 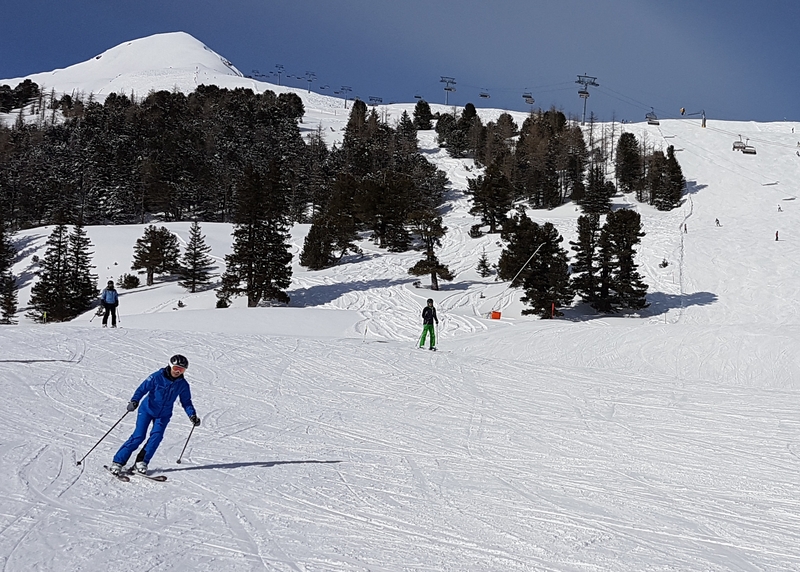 Conditions are still very good on-piste. Much warmer today - it’s like spring. As usual on a Saturday it’s busy. Gummi Nord has been prepared and is open. We had about a foot of fresh snow in the village last night, so the snow's great today. Absolutely freezing at Scheidegg with deserted pistes. There was a big avalanche below Allmend this afternoon, don’t know whether it caused any damage yet. We had another 10cm or so of snow last night. Popped over to Mürren. Very few people around and nice conditions. Breaking news: Fish & chips is back on the lunch menu at the Bellevue. Very nice too. @telford_mike, Bellevue in Murren ? Great pic as always Mike, looks like a view down Winteregg. We did the run around to First, absolutely fantastic conditions! @Chris Brookes, CHF21.50 from memory - bargain! Bargain in Switzerland..... case of 24 beers from Denner 11.7chf its good as well! Männlichen very nice today. Clouds beginning to appear over the mountains to the south - föhn coming? @telford_mike, You are so right. manlichen was wonderful today. 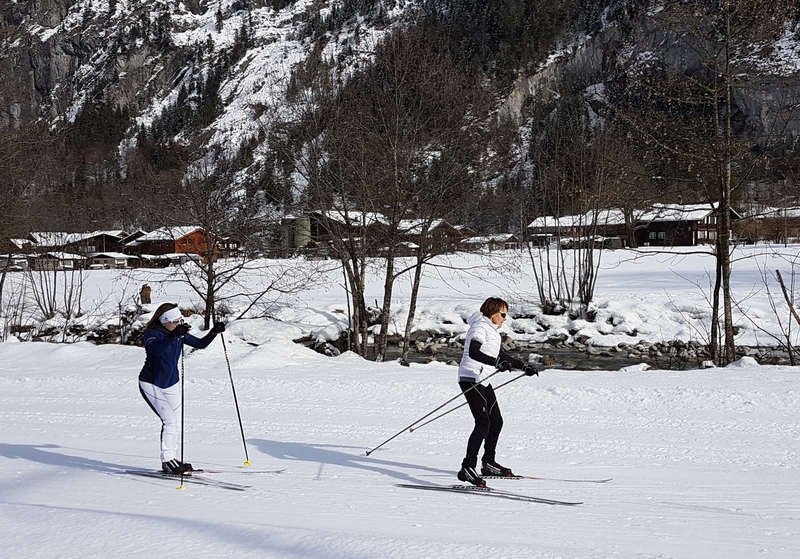 Skiing across to Kliene also. Run to Brandegg was empty and colder! @Baggiesfan, there's a band called Uptown Lights playing in Rocks from 7pm tonight - recommended! 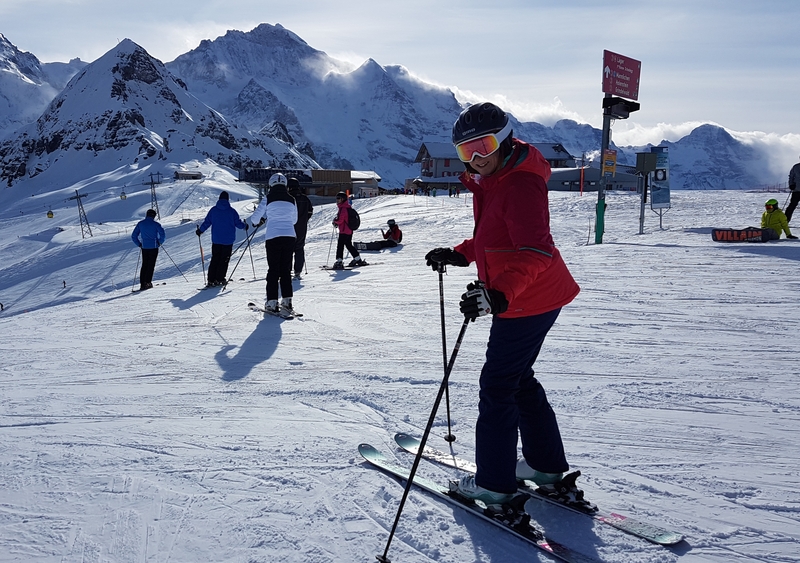 Had a great week, snow was wonderful, although on a couple of days the light made things a bit difficult; but managed to fit in at least six hours skiing each day! Looking forward to the new Grund-Mannlichen lift opening new year. We had another big snowfall Saturday night into Sunday, but today the weather was perfect. Lots of accessible powder. Pistes are fun with lots of chopped up soft snow. Once again great pic Mike. We (at least two snowheads) skied a few "face - shot" lines over at First. We didn't have to leap off Oberjoch cliffs either. I am filled with much sadness reading of people losing their lives when its all about living, grinning and a beer to say great day! Indeed. Ours is a dangerous sport, and the mountains are a dangerous place. You’re right about that beer though. The weather’s still beautiful. Can recommend this little hut on the blue piste that leads from Aspen down to Grund. Just simple stuff like chäsbratel etc, but inexpensive and really cosy. @Alastair Pink, great choice! It’s one of my favourite lunches in the area. 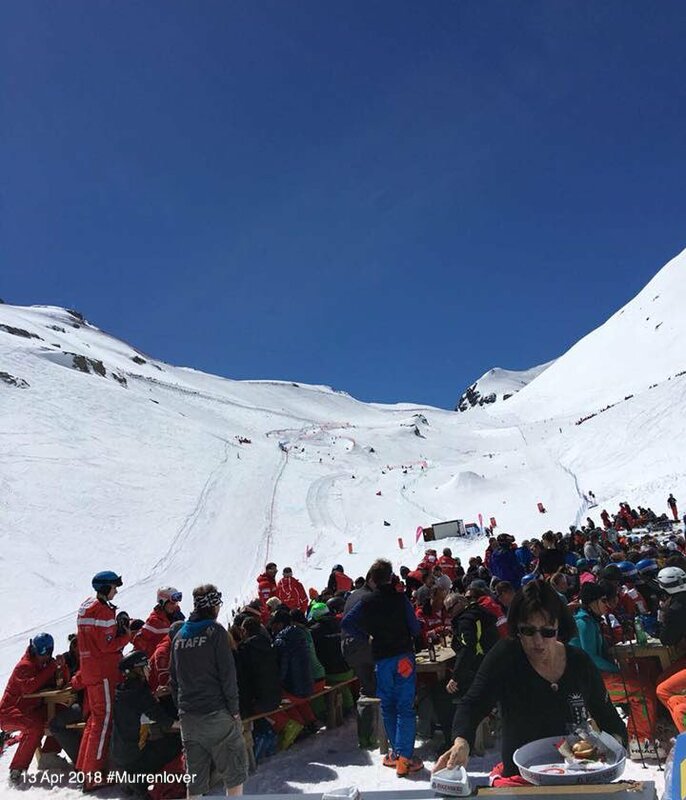 @Alastair Pink, is this a photo of you on the Ski Club GB Facebook page? @sugarmoma666, yes that was me and no my arm was not in a cast, that was just Martin's little joke. We had another good snowfall last night. Bright and quite mild this morning. 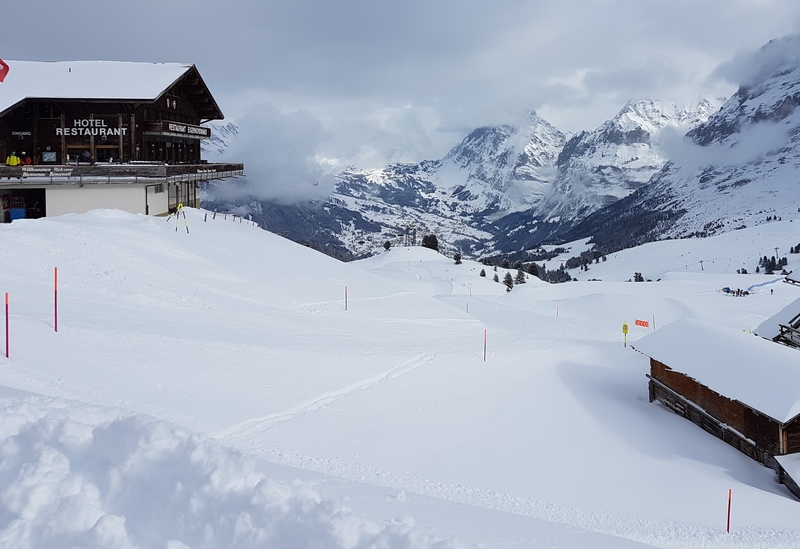 The cross country track at Lauterbrunnen is open and was very popular today, and I don’t think I've ever seen so much snow in the valley. Another dump forecast for Monday but after that a couple of cold days but then unbroken sun for a full week by the looks and temps upto double figs .. eek. Loads of snow last night after yesterday’s föhn. Those guys with shovels are going to need to put a shift in. Great snow and sunshine today after a snowy few days. It wasn’t even too busy. Anyone coming for the U.K. half-term holidays this weekend is going to have a great week. That’ll be me then. Arrive Valentine’s Day. weather forecast is looking a bit too warm ! Thank you Mike nice to say hello to your good self. Today was spring, we skinned up to Faulhorn and had a super ski down to Busalp. The top was nicely settled powder lower down was quite sticky! Sunshine and relatively warm. Don’t worry about a thing. There’s so much snow it doesn’t matter. You’ll have a great time. Would endorse every word from @telford_mike conditions are quite fabulous. 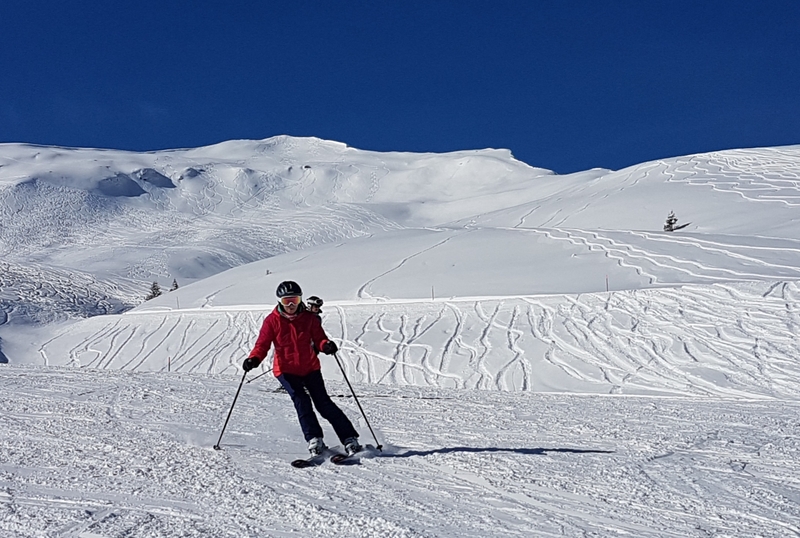 Enjoy super pistes and glorious scenery! Uptown Lights playing in Rocks bar tonight - highly recommended. Another cracking day today. 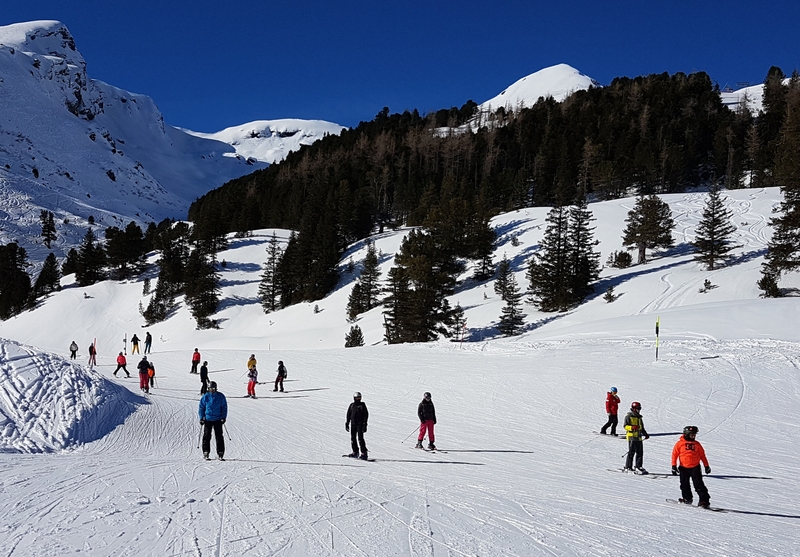 Popular pistes (this is Arven) are busy, but the snow is sublime.